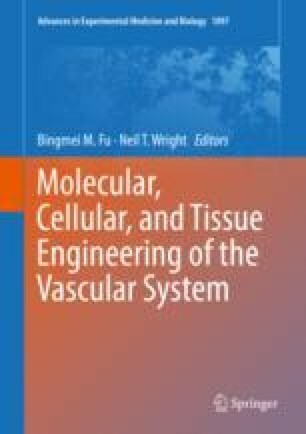 There has been rapid progress over the past decade to extend the concept that a quasiperiodic inner endothelial glycocalyx layer (EGL, <300 nm thick, with key components associated with the endothelial cell membrane) forms the primary molecular filter between circulating blood and the body tissues. The EGL is common to both continuous and fenestrated microvessels. The revised Starling Principle describing steady-state fluid exchange across the EGL describes new ways to understand transvascular exchange of water and plasma proteins in microvessels in both normal and disturbed states such as hemorrhage and fluid replacement during surgery. At the same time, direct optical observations describe endothelial surface layers (ESLs) with porous outer layers that extend 1–2 μm beyond the EGL. Preliminary analyses of water and plasma protein transport through barriers formed by a thick ESL in series with the EGL indicate that such two-layer structures can have permeability properties that are not consistent with measured water and plasma exchange in microvessels. Such multilayer models provide a basis for future detailed evaluations of both transports across endothelial surface layers and the methods to image components of both the EGL and the ESL. Furthermore changes in the thickness and distribution of thick ESLs in vessels with diameters larger than 50 μm may not reflect functional changes in the inner glycocalyx layer. σtotal = σEGL*(Ptotal/(PEGL) + σESL *(Ptotal/(PESL) where 1/Ptotal = 1/PEGL + 1/PESL (Kedem and Katchalsky 1963). The relative permeability coefficients are determine by the values of (D ϕ)/L for each layer where D is the diffusion coefficient, ϕ is the partition coefficient, and L is the thickness for each layer. Ogston et al. (1973) measured the fractional reduction in the free diffusion coefficient for albumin in HA solution of 14.5 mg/mL to be 0.75, close to two times larger the estimate for D in the inner matrix in the model in Fig. 2b (Adamson et al. 2004). The partition coefficient for album in the same HA is 0.5, while that in the inner matrix is close to 0.03 (reflection coefficient of 0.94). Thus if the ESL is ten times the thickness of the inner glycocalyx as in Fig. 6, the inner glycocalyx matrix accounts for close to 75% of the total diffusive resistance, and the effective reflection coefficient of the series barrier would be 0.78 which is 20% less than the value of the inner glycocalyx barrier 0.94.